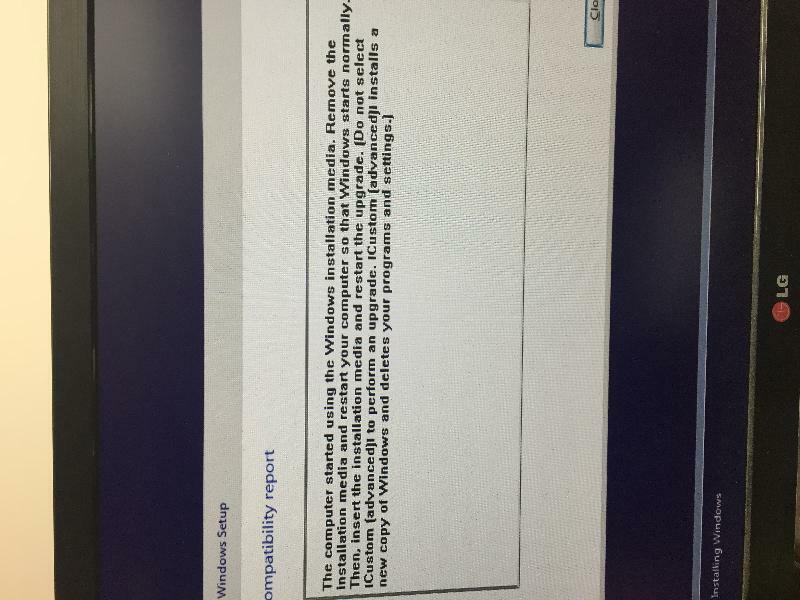 After a fresh install lot of drivers need to updated outdated drivers can cause lot of issues. The BEST scan software is that provided by the manufacturer. That is what I use exclusively. There are driver update sites, many - so pick one that looks best to you. Lots of advertising on these sites so take care. The best driver is manufacturer driver as mentioned above, and you can find it on Manufacturer website. Also I used Driver Genius, it's not free but it's very good to find the right Drivers. Driver genius is fine (colleagues have used it) but as noted above - not free. 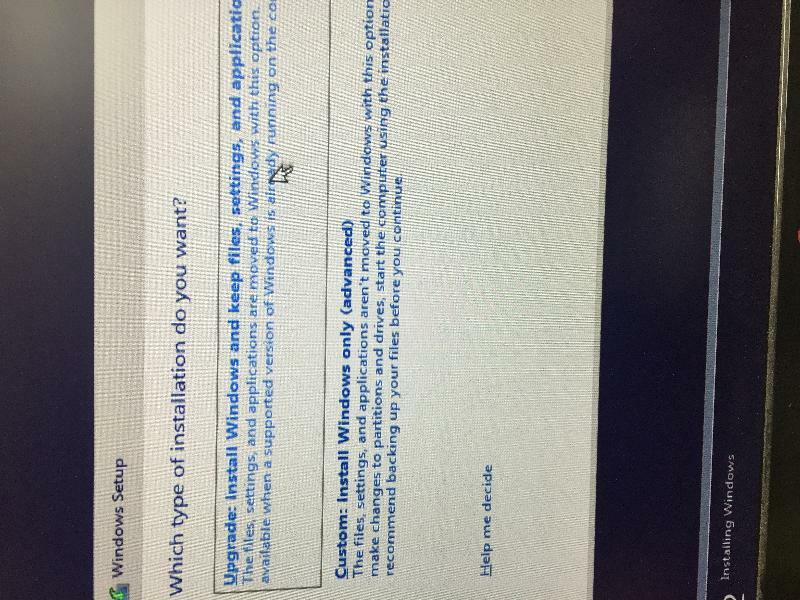 I would agree that the best option is the manufacturers website but we've had good luck with Snappy Driver Installer. It's free and I've only encountered one instance where it couldn't find the appropriate driver. As with most freeware you should use some caution but so long as you are conscious of what software selections you've made it works quite well. Generally Windows update will do most of that for you. Do the install and the Service Packs and then the updates. Now there are Driver Update sites and utils for that purpose if you want to spend the money. Not needed in my opinion IF on install and initial patching all of the relevant drivers are found. In most cases they are (I've had installs where many drivers and devices weren't found but in the consequent Service Packs and updates they all came through). In some cases they are not (Recently had to install a Windows 7 driver for the sound in my Dell). And most of these run in the background and do the check automatically for you. For custom machines with commercial parts, Driver Genius will be a good way to go. Now select "Components" and highlight "Problem Devices". All hardware devices with a driver problem will be listed here. Make a note of the first line of the PNP Device ID line of the entry. It will show a Vendor number and a Device number (VENxxxxDEVxxxx) both four digits long. This will tell you the manufacturer and the chip number. 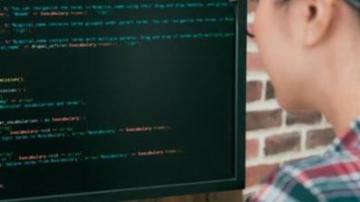 Just last Known good Configuration or Restore from Restore point. 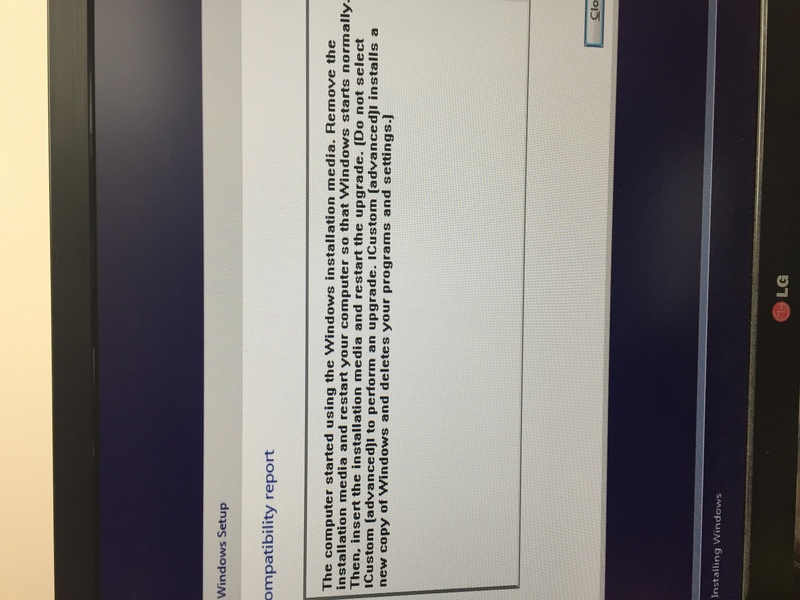 See if you can start with a Windows Bootable DVD and replace the driver. At startup before starting windows "Controller not found AHCI Bios not installed"
No, it's not more than a DVD. it's less than 4 GB. 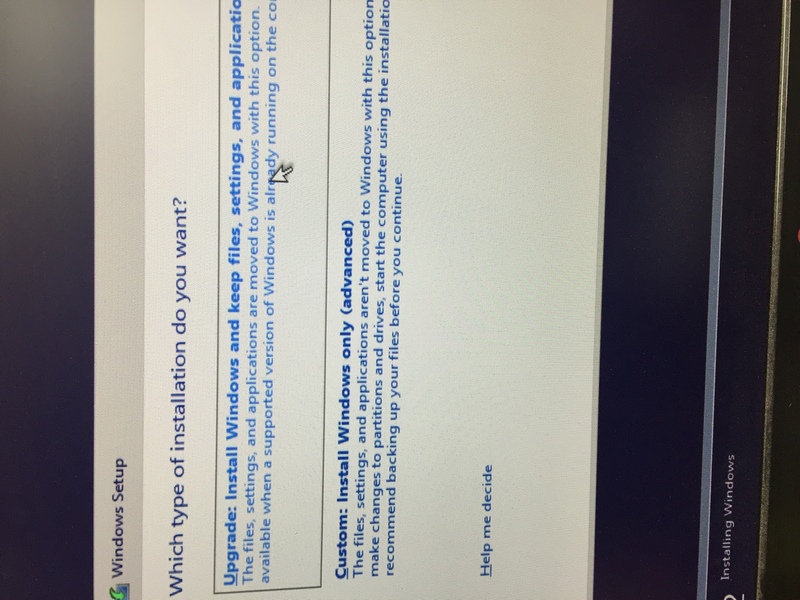 If Windows 10 can not starup correctly then you have to Create a USB/DVD Installation for Windows 10 on other computer or use Window 10 installation DVD. 4- Accept the license and follow on screen options. Try using a large USB Key. Windows 10 media will go on that. Microsoft: We recently refreshed our media for Windows 10 and it grew beyond the 4.7Gb limit of a normal DVD. You have to use either a 8 GB thumb drive or a dual layer DVD to make a bootable copy as mentioned by Shaun. What ISO are you using? That is not a Windows 10 Installation message (not one I have ever seen). I have reason to believe that the issue is related to the raid. 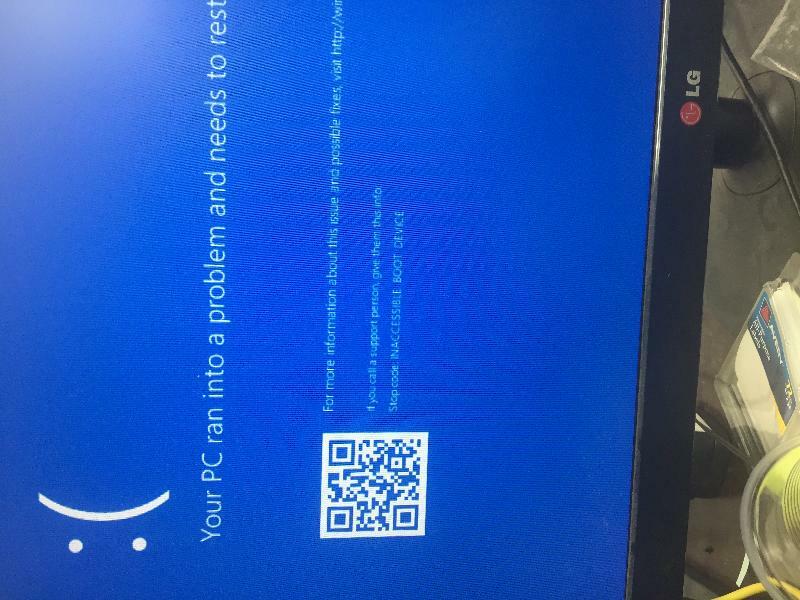 Since I tried booting from a image I created a week before trouble started and it will not boot from that drive ether. How many HDD do you have on your system ? if more than one, Disconnect extra HDD(s) from your PC and then retest. when Windows 10 startup normally, you can connect your extra HDD to the system. also set the HD to AHCI / IDE and retest. Thanks God I have a backup via Casper - www.fssdev.com I did a restore to a day before the disaster happened and I am up in running perfectly fine. The process for fairly easy. Thank you nobus for discovering me a feature I never know exist until now I used a third party software siw and also for the voluble site in the link you provided but since Driver Genius is less then $30 it saves a lot of time. 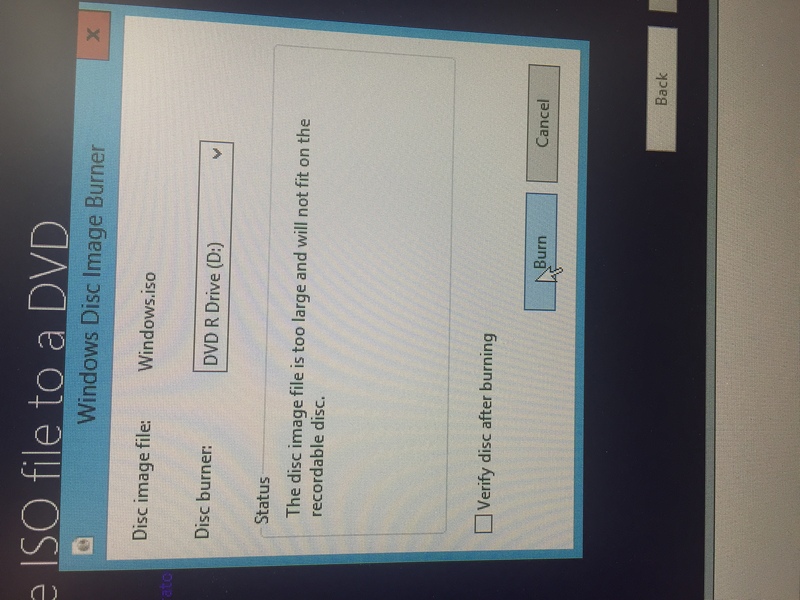 Thank you Shaun Vermaak for your helpful tip of using a DL DVD which I never know exists, and was critical in my situation since on this machine I cannot boot from a USB for unknown reason. Thank you Ramin for your advice to detach drivers beside the OS which made it easier in the restore process. And changing the HD [since I did a bios reset I needed to change it back to raid which via your advice directing me to that setting I realized this]. What a price for a wrong driver update. Thank you all for giving your time a knowledge it was a big help in a critical moment since this is my main PC where I have all my tools and applcations. Thank for your update and kind remarks. I am also very glad you got it working, and Thanks.